Castle Metals (Parent A. M. Castle & Co., NYSE:CAS) is serves large OEMs and regional machine shops, offering metal, processing and supply chain solutions. Our products include carbon, alloy, stainless steel, nickel alloys, aluminum, titanium, cast iron, brass, copper and plastic. We have locations throughout North America, Europe, and Asia. Mission: To deliver a competitive and sustainable rate of return to shareholders, through all economic cycles, by providing metal and plastic products, services and processing capabilities at the highest levels of quality and customer satisfaction. The Inside Sales Trainee will grow business by positioning value-added products in the metals industry utilizing an unrestricted, entrepreneurial approach. 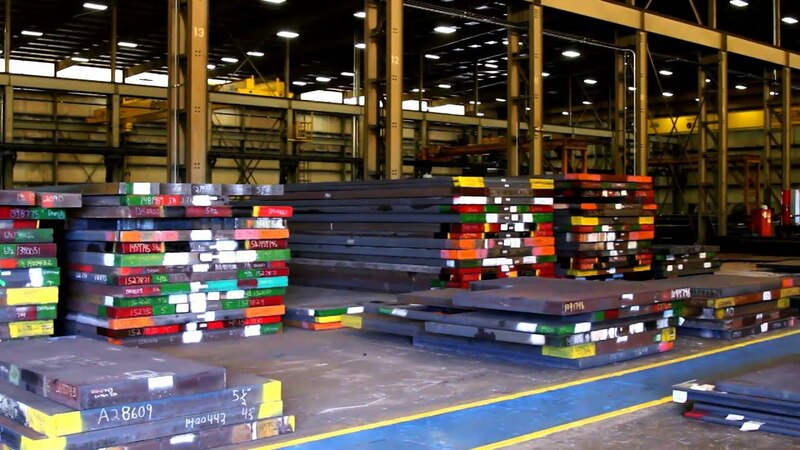 Castle Metals has over 125 years of experience as a metals supplier for the aerospace, semi-conductor, automotive, and heavy equipment manufacturer industries. This exciting opportunity will provide recruits the potential to earn a competitive base salary (between $45,000 - $50,000 annually; pay will be commensurate with experience) plus a performance-based incentive with potential to match or even exceed annual base pay for exceptional performance. Castle provides a great benefit including but not limited to medical, dental, vision, 401K match, disability benefits and tuition reimbursement. Following training, and based on performance, the Inside Sales Trainee will have the opportunity to advance to various sales position(s) in Castle's Sales organizations. The goal is for successful candidates to move forward and fill other increasingly senior Sales positions such Inside Sales Representative, Outside Sales Representative, Management or Supply Chain opportunities. The Castle Metals Inside Sales Trainee Program will introduce qualified individuals to selling techniques in the metals industry. Trainees will cultivate strong product and market knowledge as well as knowledge of customers' businesses and end use of material. This position features a daily transactional sales process, in which, the initial training phase will consist upon reactivating dormant account and seeking new business. Have 0-5 years of relevant work experience. Bachelor's Degree required. Majors in business, sales, industrial distribution or related field preferred. Seek opportunities for product conversions. Have the ability to conform to Company ISO quality standards and corporate procedures. Upon being selected as a Castle Metals Inside Sales Trainee, new hires will begin with an internship from April-May. During this time individuals will learn about various aspects of the company and the metal processing in the warehouse. Upon completion of the internship program the Interns will join a cohort group where they will work together during a 6 week training period in the suburbs of Chicago, Illinois. The program will involve Financial, Operations, Information Technology, General Business and Product training. Training will include instructor-led, web-based and job shadowing methods. Upon completion of training new hires will disperse to work at their respective home locations, ultimately reporting directly to a Sales Manager. This position will be located in Grand Prairie, TX. How will I be Incentivized and Held Accountable for Achieving my Goals? Inside Sales Trainee will have monthly goals that must be achieved. They will be rewarded for meeting and exceeding set goals with incentive opportunities that match or exceed annual base compensation. Similarly, trainees will also be coached and held accountable when deliverables are missed. Leverage the freedom in this role to gain and retain sales by approaching work in an entrepreneurial and innovative manner. Respond to all general line customer inquiries by determining material availability, conformance to customer requirements, quoting prices, and providing a reasonable delivery commitment designed to obtain the customer's order or expanded order. Coordinate with customers, operations, traffic, outside sales, purchasing and sales management to expedite or troubleshoot customer orders. Cold-Calling - Initiate telephone calls to customers and potential customers to solicit purchases of stock or to follow-up previously quoted business opportunities. Act as a technical and market resource by counseling and advising customers. Utilize creative and innovative sales techniques to increase sales volume. College graduates with 0-5 years of work experience. Must be mobile to service various Castle locations on occasion.